So, I had no idea this movie is based off of actual events which makes it an even more thrilling and dramatic experience than if it was a work of fiction. 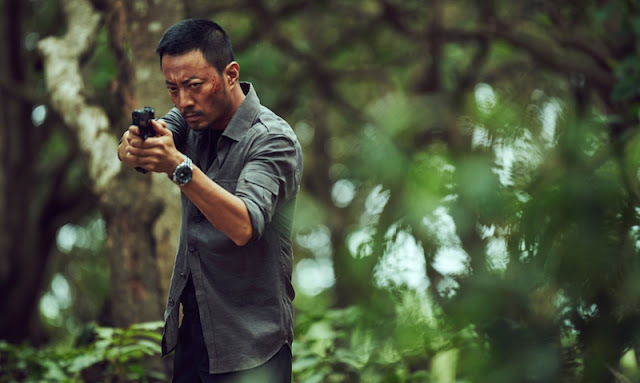 I'm sure Dante Lam took lots of creative liberties to turn this story into a big time, blockbuster style action movie, but the intense nature and urgency is definitely still in place. When I say big time blockbuster, I mean it in a way that would make Michael Bay himself proud of the effort put into this film. It is big, it is bold, it is glossy, and once the action gets going, it is non stop and in your face all the way to the end. That being said, the action does stay within the context of the story and avoids becoming just another "Bayhem" style explosion fest. While the action is hot and heavy, there is real drama, real danger, and some seriously intense moments in this film, all brought to life by a very capable cast. Hanyu Zhang as Captan Gao Gang and Eddie Peng as intelligence officer Fang Xinwu make a great team in their roles as leaders of the task force assigned to take down the drug cartel and Pawarith Monkolpisit is appropriately intense as the crazed drug kingpin. We even get a heck of a performance from a canine actor who does a fine job of honoring the heroic achievements of the captain's K9 companion. 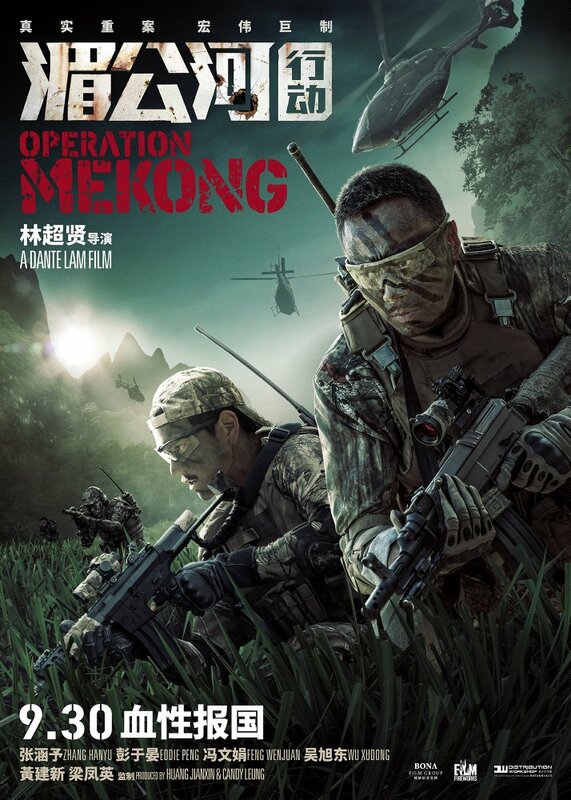 Operation Mekong is one of the best action thrillers you will see this year. Seriously, I would put this up against anything similar made here in the states. In the Seattle area, you can see this film at the Regal Meridian 16 during its limited run here in the states.